Over the last several years, people are becoming increasingly concerned about high fructose corn syrup and its effects on the body. Its presence in products like soda has gotten a lot of the blame for the rising obesity rates in the U.S. as well as its effects on heart disease and diabetes. Many soda companies are now sweetening their drinks with sugar instead of using high fructose corn syrup, but the question remains about how this affects tooth decay. While many people in the health community are speaking out against high fructose corn syrup, in terms of your teeth, a soda with this sweetener is actually better than one with regular sugar if you want to minimize damage to your teeth. This is because oral bacteria respond to sucrose and fructose differently. Most of the bacteria in the mouth are able to feed on all types of sugar, but with bacteria like Streptococcus mutans, there is a difference. Sucrose is known to give Streptococcus mutans bacteria more energy, and they can also change the sucrose into a sticky protein used to make biofilms or plaque. This will glue the bacteria to the teeth so that they are protected against saliva, and the end result can be tooth decay and other oral health problems. This type of bacteria doesn't have the same effect on fructose, so regardless of the effects of high fructose corn syrup on overall health, sucrose is arguably the worse option for your teeth. 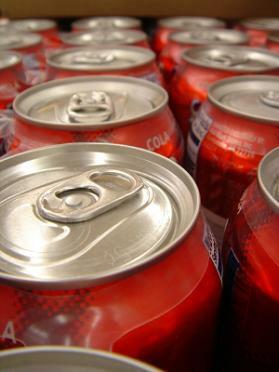 Regardless of whether you are a soda drinker or not, you need to have regular evaluations and professional cleanings at your dental office to make sure that you are properly protecting your teeth from damage. Your dentist will inspect your mouth and will recommend any necessary treatment options to keep your smile beautiful and healthy. Please contact us of you have any questions fructose corn syrup and your oral health.